The Buildings Show (TBS) is the largest networking and education event for the design, construction and real estate industries. Bringing together Construct Canada, PM Expo, HomeBuilder & Renovator Expo, World of Concrete Pavilion and IIDEXCanada, the event takes place Nov. 30 through Dec. 2 at the Metro Toronto Convention Centre. 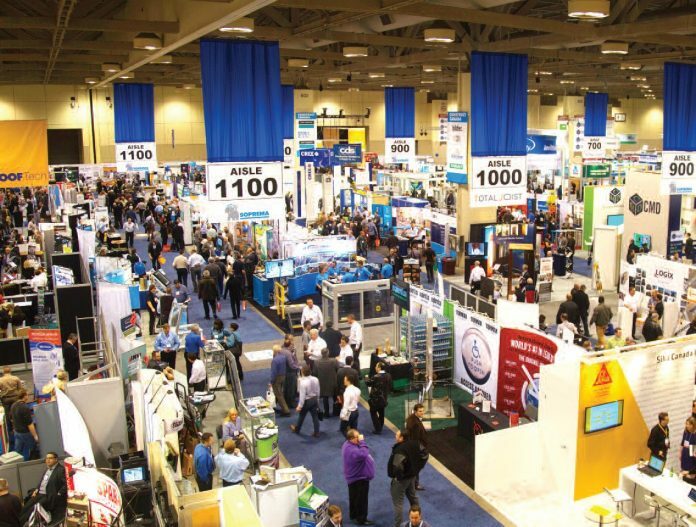 More than 30,000 industry professionals are expected to visit the show and its 1,600 Canadian and international exhibits, including the TCA’s Innovative Product Award showcase which features newcomers to the market. More than 350 seminars and demonstrations with more than 500 speakers will allow attendees to customize their educational experience. Some seminars will include industry overviews through sessions including Global Construction Outlook; Construction Law Update: The Construction Lien Act Review; The Carbon Impact Initiative: How Will It Affect Building Design & Construction Going Forward; Recruiting and Retaining Women in the Construction Trades: Social Responsibility or Competitive Advantage; and National Building Code (NBC)2015 – Part 9: Current Implementation and Shifts for 2020. Others will focus more on business issues and practices and areas of specific focus, including: A Look at Energy Efficient Concrete Tilt-up Buildings; Tender Forms and the Tendering Process: Best Practices; Gold Seal Certification Expect Excellence: The Value for You and Your Team; New and Innovative Green Building Products, Services and Systems; Procurement Process for Public Sector Projects: Approaches, Best Practices, and Opportunities in Real Estate and Infrastructure; and Air Barrier vs. Vapour Barrier: Understanding Function for the Performance of Your Building. New features include the ‘Best Of’ exhibit by IA, Interior Architects, Passive House Pavilion, IIDEXTV, the Spanish Pavilion and the LightCanada Expo. Returning features include IIDEX Woodshop, THINK:Material, the Canadian Interiors’ Best of Canada Awards, and the Canadian Architect Awards of Excellence. National Summits focus on issues that are “all about changing the way the industry thinks about design” and include discussions on Passive House, women in design, senior living, wellness and accessibility. Free registration for the event ends Nov. 17. After then registration will be $25. Seminar prices also rise on Nov. 18. To register or for more information, visit http://www.constructcanada.com.